God’s unexpected plans- and a book giveaway! The heroine of my latest release, ‘Forget Paris’, thinks she has her life all planned out. She’ll finish her research, designed to back up her theories on everything that’s wrong with love. She’ll get her PhD. Then she’ll publish her book about the dangers of romance. She knows she’s right, and she intends to prove it. Then one impulsive action changes her plans, and her life, in ways she doesn’t expect. Zoe Gallagher eyed the man in front of her as she waited for his answer. Too late now to take back the words that hung in the air between them. Maybe she’d taken determination to prove she was right a step too far. In Paris, on Valentine’s Day, and she’d challenged a total stranger to the Interpersonal Closeness Generating Procedure. A procedure she’d refused to do in the psychology lab with other students, because it could delude people into thinking they were in love. Disaster seemed inevitable, or at the very least, a bruised heart. The man seemed genuine. He looked appealing. He spoke intelligently. But just because he talked about God like he was a Christian didn’t mean he was honest, or safe. She didn’t even know his name. She checked his left hand for a faded tan line. Still, he could be an escaped convict or a conman or a thief. Her instincts told her he was none of those things, but even if he was trustworthy, he was still dangerous. By the end of the day, if her theory was correct, she’d imagine she was in love with him. And she knew her theory was correct. Oops! But thankfully for Zoe, God’s plans for her are way bigger than her plans! 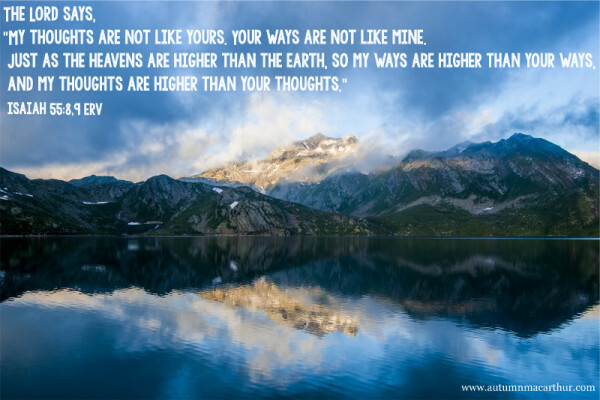 The Lord says, “My thoughts are not like yours. Your ways are not like mine. God intends to teach Zoe about His eternal love, and in the process show her that romance is far more than her theories. The anti-romance crusader falls in love, and everything she’s so sure about is turned upside down. She learns that her life can be wonderfully more than she planned, too. In His mercy and grace, God doesn’t give us what we deserve, He gives us what we need. I’ve dived into relationships that might have been better avoided (in my single days). I’ve taken jobs and left jobs. I’ve said things that may have been better left unsaid. I’ve made bad financial choices. Through it all, God has been there to pick up the pieces after my decisions, patiently teaching me, showing me the way. Also, with just a hint of “I told you so”, reminding me oh so gently that if I’d listened to Him in the first place, I wouldn’t be in this mess, and maybe next time I’ll consider listening first before jumping? I hope I don’t need to pray that prayer again, but undoubtedly I will. And though Zoe gets her Happy Ever After, I can’t help wondering if she will find herself praying it at times, too. Not too often, I hope, for either of us! I’m so glad that despite our human tendency to self-will, God has a greater plan for us. No matter how stubborn we are, how many times we make choices He’d rather we didn’t, even when we’re angry with Him and throwing a tantrum, He stays with us. Loving us, supporting us, correcting our path. I can’t see the whole picture the way He can, but I do see Him at work in my life, in everything from my marriage to my writing. I never expected I’d end up living in England, I thought I was coming here for a six month working holiday. I never expected I’d meet the man I married the way I did, I hadn’t wanted to be where I was that day. I never expected I’d end up writing Christian romances, I had very different goals. None of these things were part of my plans. But they were part of God’s plans for me. And I’m grateful for all His unexpected blessings. The same way that in the end, Zoe is grateful things didn’t work out the way she planned, either! American graduate student Zoe Gallagher doesn’t believe in romance. She’s in Paris on Valentine’s Day doing research to prove that romance is an illusion and love based on it doesn’t last. When she meets New Yorker Gabe Ross, there to fulfil his mother’s last wish by placing a lovelock on a bridge crossing the River Seine, even she finds it hard to resist the most romantic city in the world on the most romantic day of the year. An impulsive challenge to try a psychological experiment feels like more, much more, for both of them. Zoe tells herself their one wonderful day together proves nothing, only gives more evidence her theory is right. But on her return to London, she discovers she needs Gabe’s help to learn the biggest lesson of all, that love does last. All comments on the post this week will go in the draw for an ebook copy of ‘Forget Paris’. This sounds like a great book! It is so wonderful to see God at work in our lives. A little over a year ago I had a dream about a guy telling me what my job was to be. The next morning, I looked on the jobline, and there was that job title, almost identical to what I had been told in my dream. I applied for the job, interviewed, and got the job. I have been here about a year and a half and it is the best job ever. I probably wouldn’t have gone looking for it without that dream. God is so great! I really enjoyed the post. I have read the book and I loved it. In fact I have read several of Autumn’s books and enjoyed them all. Since I have already read the book, you don’t have to include in the drawing. Let someone else be blessed with the copy. I am looking forward to reading your book and will be sure to add it to my wish list. My walk with God has had many ups and downs but He was always with me even when I was not always with Him. 21/2 years ago I bought a house. I never own a house before and did not think I ever would but God showed me that this was something me and my son should do. I was 65 years old, retired and living in an apartment. He and his family were renting a house 30 miles from me. Because I felt God was leading us to do this we started looking and you know what a challenge that is. But God worked it all out in His time and we found a house that was being renovated and not yet on the market. We got the house and it has been a blessing for us. I thank the Lord everyday for all He has done for us. Keep writing so I can keep reading good christian books. Thank you for wonderful books. Meri, that story makes me smile. It’s so true, God never lets us go or leaves us. I can see that in my own life, how even when I wasn’t walking with Him, He was still working in my life. That’s a wonderful blessing! Beautiful post and a timely reminder for me, especially, Autumn. Too often we try to take things into our own hands, but I love seeing how God can take our fumbles, our mistakes, and our willful selves and show us His grace, mercy, and love by working things out in ONLY the way He can. Showing us how trust in Him is the best way to live. Time after time. Amen. 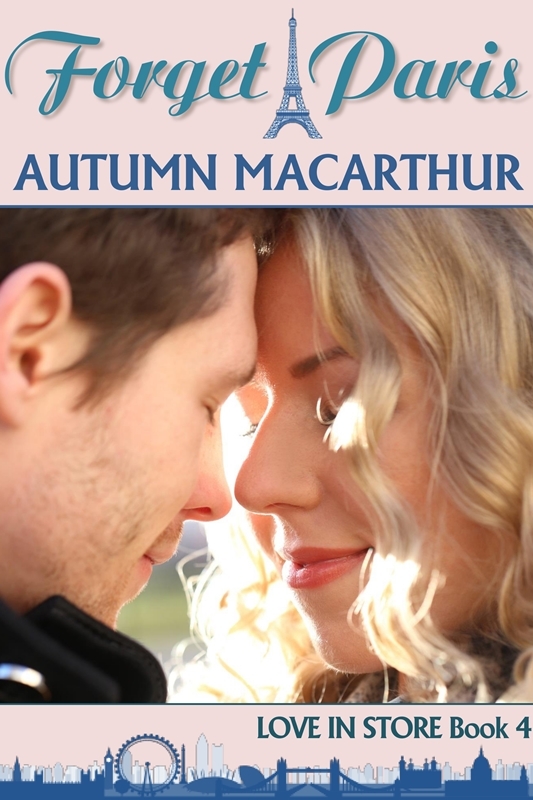 I look forward to reading your new book, Autumn! It sounds absolutely wonderful. His love and grace and mercy never end! Which is a good thing, because us all-too-human people need it! In 1995, I heard about the opportunity to go to Brazil to teach English on Feb 4, I was there by Feb 27th. Which included getting my Passport, Visa, plane tickets, etc… When I got there, the English teacher I was going to help quit, so it was just me! I would NEVER have planned that as I am introverted with social anxiety, but it went really well. Oh wow, Becky! That is amazing! Obviously meant to be! Your book sounds great, I’ve had a friend highly recommend the first 3 in this series. For me, I never dreamed I’d be part of the sandwich generation. For the last 6+ years I’ve had kids at home and I’ve been my mother’s primary caregiver, also in our home (she has Alzheimer’s). As the kids have needed me less over the years, my mom has needed me more. Not sure what God has planned for the future, just taking it one day at a time! It’s not easy and I’m certainly not perfect at it, and not at all what I had planned for this stage of life, but it is an honor to care for my mom. Hugs and prayers, Lori. I’m sure it can’t be easy at times, but your attitude is inspiring! It’s a shorter lighter book than the others. I would love to read this book. It sounds great and I love Christian books. I have seen God working in my life so much over the past 9 months. It is all with my kids! :) My son, who is now 30 years old, lived with his dad during his teenage years, and his mind was filled with resentment, bitterness, anger and lies. He told me and my daughters that he wanted nothing to do with us. You can imagine my heart-break! He joined the military and moved away from everyone. He ended up living in Florida, and had nothing to do with me for 12 years. He would not answer my letters, text messages, emails, calls……nothing!! I was devastated and heartbroken. I never gave up hope and I never stopped praying, not one single day went by that I didn’t pray! Sure, I had days where I wanted to give up, and I felt hopeless, but I refused to give up! Long story short, he surprised me by coming to see me last July! I was so happy and shed tears and tears of joy! He is now so close to me again, he is so sorry for his choice he made at such a young age, and I just tell him it is okay, you are here now, and it really feels like we never lost that time. I mean we just re-connected like there was never absence. I see God all around this miracle. He is the most loving, caring and kind son a woman could ask for. Any God is so Good! All the Time! Another God thing is with my daughter, who is 32. I became a Christian late in life, and sadly, I did not raise my kids in Church. I pray for them daily and I know that one day they will all come to know Christ. My daughter was asked by her friend back in November to attend the Emmaus Walk, and she accepted the invitation. I was again so excited and so happy! My daughter brought me the granddaughters on that Thursday afternoon, and she was hesitant about going, trying to talk herself out of it, and full of doubt. I went to her closing ceremony on the following Sunday evening, and when I saw my daughter, she was glowing, raising her hands in praise and she was A New Creation! Thank You Jesus!!!! I still get God-Bumps just remembering that moment I first laid eyes on her. I could not believe the difference in just her appearance. She was full of love, joy and happiness!